Hide the vegetables and tickle the taste buds with a trio of hummus. With our time in Dubai, we have been surrounded by hummus. K loves dips in general and I love bringing fun to mealtimes. With three types of hummus flavours, we practiced colours, counting, role-playing and had a blast. Flavoured hummus’ are also a great way to secretly sneak in vegetables and various herbs as it all gets blended up, so your little ones can’t tell the difference. It is a fun way to pack goodness into a nutritious snack, which can be served as a side dish, dip or sandwich filling. For the basic hummus, crush the garlic and add all ingredients together in a food processor and blend to a smooth consistency. Add salt to taste and top up with extra olive oil or lemon juice if required. Deseed and chop the red pepper into medium sized chunks. Roast with the olive oil at 180 degrees C for approximately 20-25 minutes until the peppers have softened. Stir on occassion to avoid the peppers blackening. Once softened, add (with the love oil) to the bowl of basic hummus ingredients and blend with it until your hummus becomes red and to a smooth consistency. Peel, deseed and chop the butternut squash into medium sized chunks. Follow the same process as with the red peppers, blending the roasted butternut squash with the basic hummus until you get a smooth, yellow pasty hummus. Remove the coriander stalks, wash and finely chop the leaves. Add to the basic hummus, along with the additional lemon juice and olive oil. Blend together until a smooth, green colour is obtained. Unknown quote but is true. Thank you so much! What a beautiful quote! Love the look of these. My girls love hummus and this is a great way to mix it up a little. 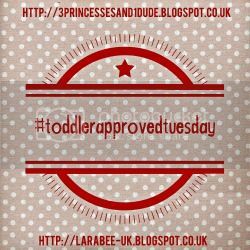 Great minds think alike because I just linked up green (spinach), amber (carrot) and red (beetroot) scones on #ToddlerApprovedTuesday! Thanks Annabel – I just saw your scones also – they look great! Thanks so much for popping by to #ToddlerApprovedTuesday this sounds like a great recipe to get unwilling kids to eat veggies! We are very lucky and dont (yet) have that problem but wuld love to get the monsters to help make this up! Oh I wish T would eat Hummus, it’s one of the few things he won’t touch anymore. These look lovely, I’m sure I’d love them myself! exist with hemp, thwy generally tend to lookk into how these materialos haave been employed in dayys gone by, by wayy off a wide selection of differnt cultures.